Here at TQ we look back at recent winners of the race and highlights the key stats ahead of the 2019 renewal – this year staged on Saturday 9th February. The Nigel Twiston-Davies team have won this in 2014 and 2017 so their Al Dancer, who has been very impressive this season, is sure to be popular. This 6 year-old has won all three of his starts this term and was hugely impressive when winning at Cheltenham back in December. He’s up 12lbs for that though and does have two significant trends to overcome. All of the last 16 winners carried 11st 7lbs or less, while 13 of the last 16 had run in the last 8 weeks – he falls down on both. Getaway Trump is another that’s going to be popular, being he’s from the Paul Nicholls yard and has also done well this season. However, with 11st 9lbs it won’t be easy and he’s also up 4lbs from his last run. He did, however, run the promising Champ to 2 ½ lengths that day and with the winner looking very useful he’s still not one to dismiss lightly. The 2017 winner, Ballyandy, lines up again too and got back to winning last time out, but 15 of the last 16 winners were aged 7 or younger so at 8 year-old he might be too old. He’s also rated 11lbs higher than when winning this in 2017. The consistent Lisp should go well for the Alan King yard, but it won’t be easy with 11st 12lbs to carry and having to give weight away all-round. So, the answer here could be the Nick Gifford runner – DIDTHEYLEAVEYOUOUTTO (e/w). This 6 year-old ticks a lot of the main stats and gets in with 11st 6lbs. Yes, he flopped on Boxing Day at Kempton, but the track might not have suited that day. The move to Ascot for this race also looks in his favour as he’s 2-from-2 here at the Berkshire track, while Barry Geraghty is an obvious bonus in the saddle too. 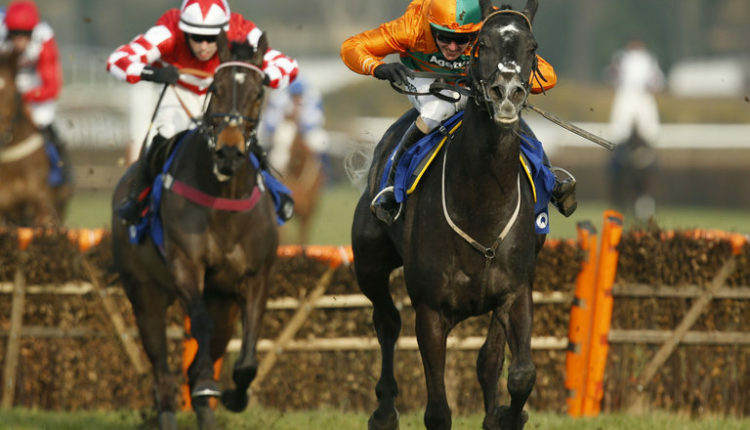 Finally, he’s owned by JP McManus, who loves to target this race – he’s won it in 2010 and 2013. Of the rest, the Gary Moore pair of DISTINGO (e/w) and AR MEST (e/w) are others to note. The yard has won this prize three times since 2007 and both get in with light weights, especially the last-named who has just 10st 7lbs to carry and also a 10lb claiming jockey riding!